It is important for all athletes — no matter how young or old they are or what sport they are playing — to protect their teeth, gums and jaws during sporting activities. The best way to protect an athlete’s mouth is to have a custom mouth guard fabricated by a dentist. 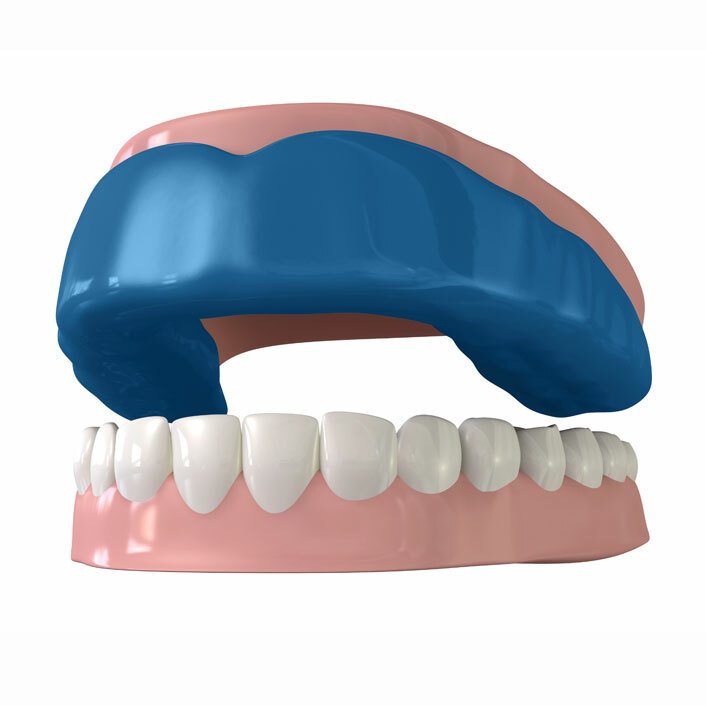 A custom mouth guard is made from a model of the athlete’s mouth and will fit closely to the teeth and gums. Custom mouth guards have been shown to decrease the severity of a concussion and significantly decrease the incidence of dental trauma. Children from ages 6-9 are especially at risk for trauma to the front teeth during athletics because during this time their front teeth tend to protrude. Custom mouth guards can be made in a variety of colors and can be adapted to the specific needs of each sport and position played. If you are active in athletics and need a mouth guard, we will take a digital scan of your teeth to create a custom-fit product for your specific needs.